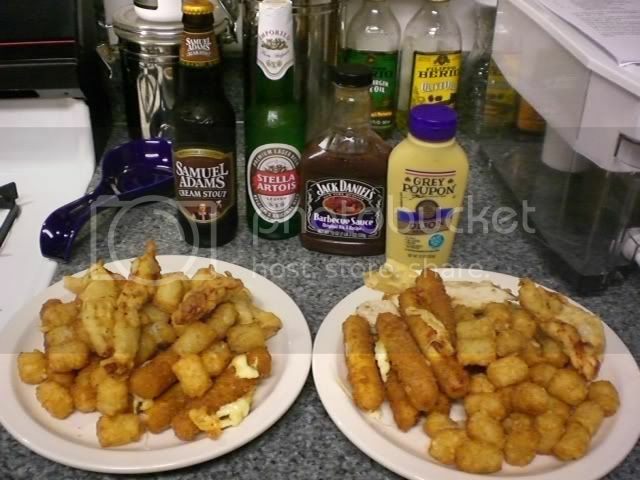 Chicken strips, tater tots, cheese sticks, and beer . . . yeah, needless to say I wasn't feeling too hot last night after my fried-nasty dinner. I did have fun using my new deep fryer for the first time, though! How far am I going to have to run to burn that-off??? Mmmm! Mozza sticks!! And what's this Jack Daniel's BBQ sauce?!? !